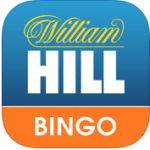 Although there may not be Android bingo apps available directly from the Google Play Store due to the restrictions on real money betting/gambling apps, what we have done is, we have reviewed all of the best available bingo apps for Android that offer a platform to play bingo via your android device. 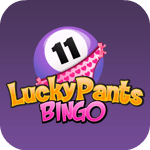 If you take a look below you’ll see that there are a list of the ones available to Android users, to view the in-depth reviews, simply click on the relevant link provided below the short description of any bingo app you wish to learn more about. 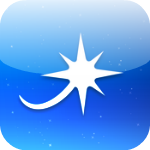 "Vast amount of games available, No Deposit Bonus!" 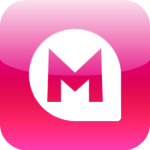 Read Review £5 FREE! 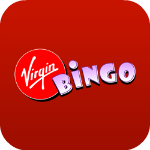 Featured: Foxy Bingo Android App - Claim £30 FREE! 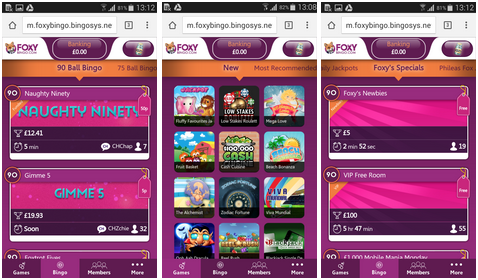 The Foxy bingo Android app is now available to play real money bingo for all users of Android mobile and tablets in the UK! 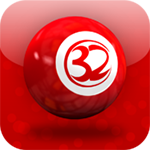 The Foxy app has a fun design as you would expect and loads of great bingo games and promotions too. New customers to Foxy bingo are treated like royalty with a free £30 when you deposit just £10! Yes that right £40 to play with for just £10 of your own money which works out as a 300% bonus – That why we love Foxy!